A very happy National Handbag Day to you! Clearly this needs addressed! October 10th is now one of my new favorite days and one that certainly deserves celebrated! Champagne late of course. In honor of this completely fabulous day I wanted to share a new and also favorite of mine. Since green is my favorite color, this stunning beauty was right up my alley. When sauntering down the streets of Rome I stumbled into a handbag shop and immediately grabbed this as if it were begging me to. 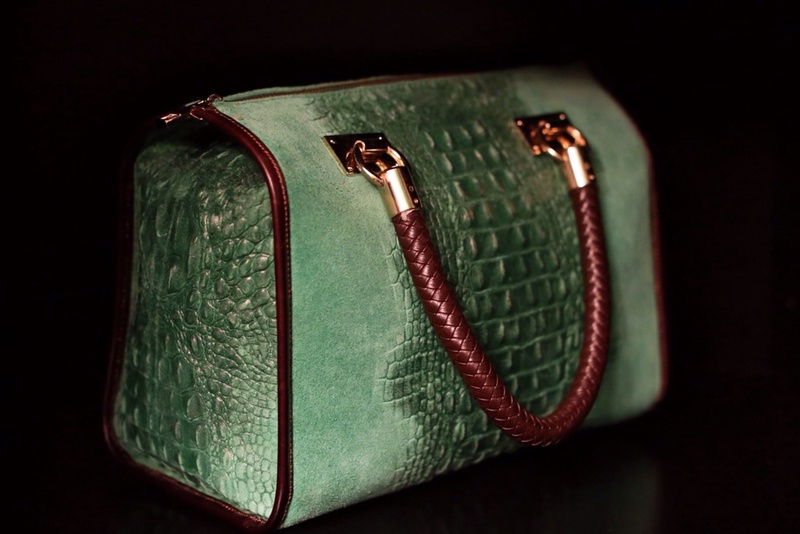 Green, handmade Italian Leather. I knew I was in love and I knew it was mine. Even MK said "Seriously, you have to get that". This, coming from the guy who always says I have enough purses. It really was as special as I deep down knew it was. Every now and again a piece comes along that you know you'll have and love forever, here is mine. Now I want to hear about your favorite! Tell me all about it as we celebrate National Handbag Day!